The Shildon AFC Supporters Club was re-formed in December 2009. Its aims, among others, were to increase interest in Shildon AFC thereby expanding its fanbase and hopefully increase attendance figures; to provide transport to all away games and to assist Shildon AFC and other organisations and charities financially, where possible. The club has recently adopted a formal constitution and more information about this is available on the News section. 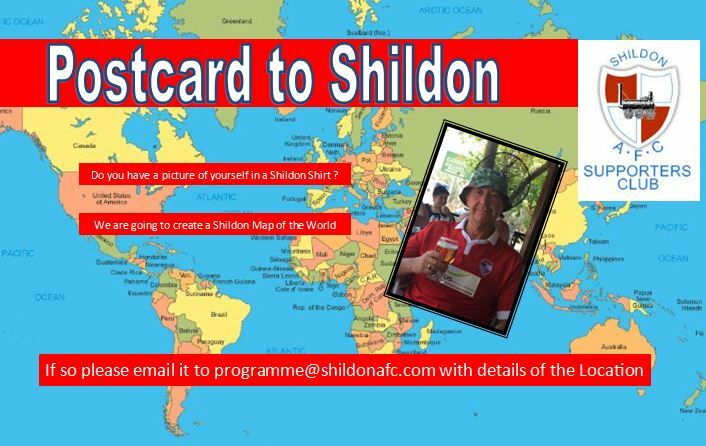 The next meeting of the Shildon Supporters Club committee will take place on Tuesday 8th December at 19:00. The committee will discuss the latest matters relating to the running of the Supporters Club. Please see the News page for the latest information as the Club makes the transition from an informal to a constituted group. As a result of the membership’s vote to adopt a formal constitution, membership of the Shildon AFC Supporters Club is now charged on an annual basis. Membership for 2016/17 has been set at £2 Adults (over 18) and £1 juniors (under 18). Only current members will be able to vote at the club AGM. The renewal date for memberships is the month of September. Forms will be available throughout the month from the Club Shop in the ground or at scheduled membership sign-up evenings each Friday of the month at the clubhouse. More information on the News page. People wishing to travel to away games can do so by seeing Winnie in person on match days or by calling her on 07784 975451. Alternately you can call Russ on 07538 789464 and he will pass on any bookings. Please try to book well in advance. This gives us time to book larger buses if necessary as we do try to accommodate everyone where possible. If, for any reason you are unable to take up your seat on any transport, then PLEASE let us know as soon as possible so that we can try to fill your seat or avoid waiting around for you to turn up. This only delays people getting to the game on time and as we run the buses on a small profit margin can cause us to run a bus at a loss. Owing to people not turning up for away travel after committing to travel, a Non refundable deposit will be taken prior to your name being added to the list of travellers.